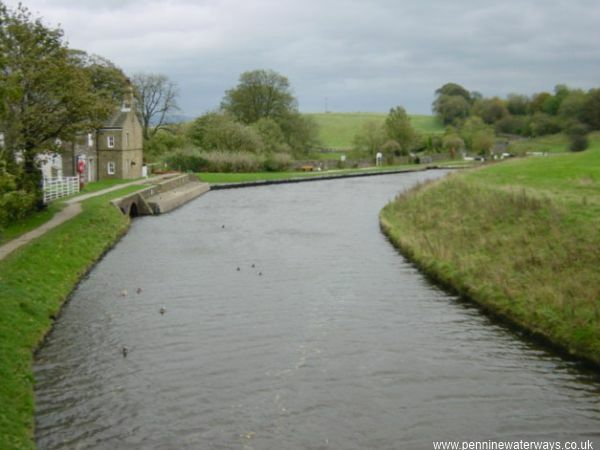 The middle lock from Greenberfield Lock Bridge. Greenberfield Lock Bridge from Lock 43. 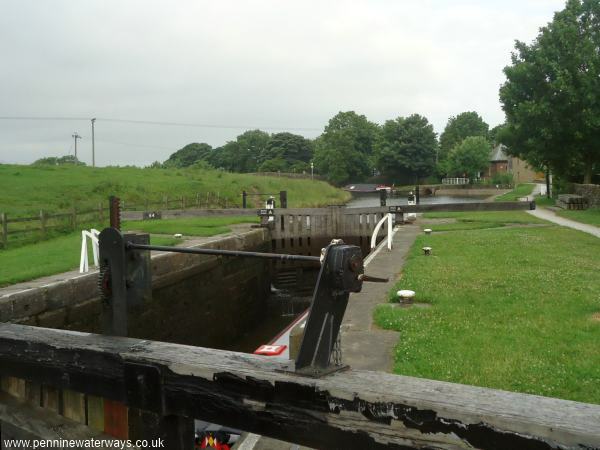 Looking towards the top lock at Greenberfield. 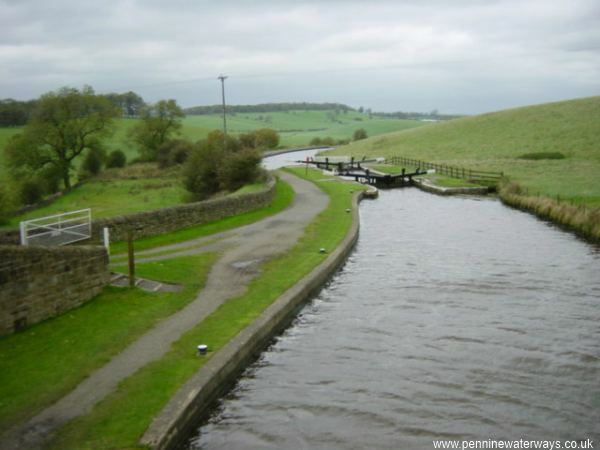 Lock 43, the top lock at Greenberfield, with the start of the canal's summit level beyond. Looking over the wall from the towpath along the original line of the canal. The parapet of the former bridge can be made out. 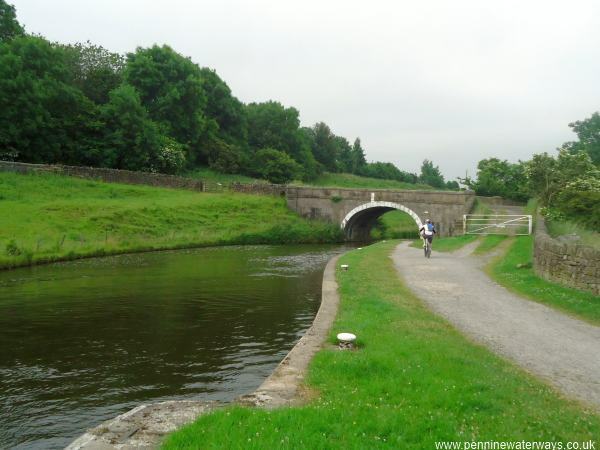 The canal originally took a line to the north of the present line, descending by a lock staircase. 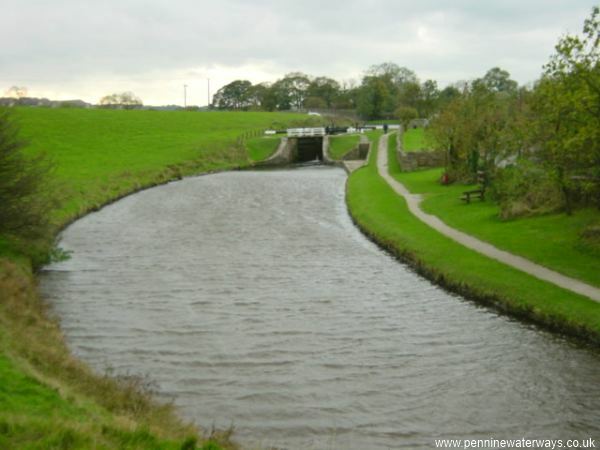 This was replaced by the individual locks when it was found to waste too much water, leaving the summit pound shallow at times. 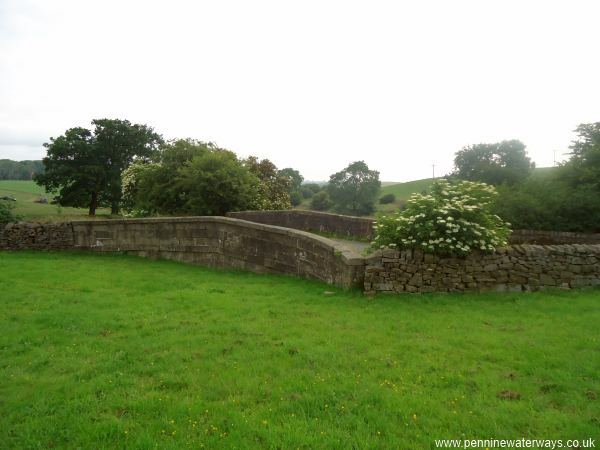 Close-up of the bridge that crossed ther original canal line at Greenberfield. The summit level, looking east from Greenberfield Bridge towards the top lock. The canal originally went straight ahead here. 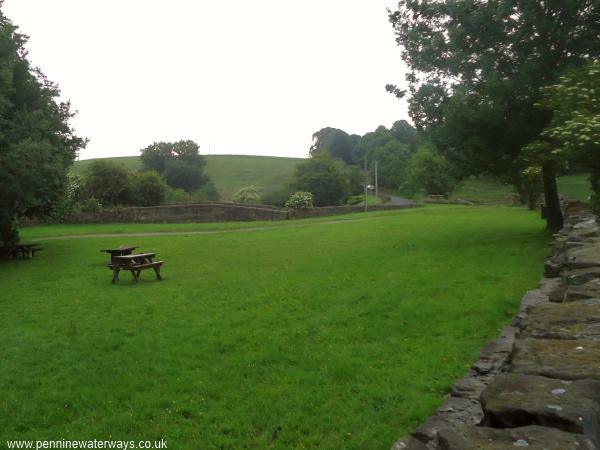 At one time there were proposals for a junction on the left with a possible branch canal to bring limestone from Settle. The pipeline from Winterburn Reservoir feeds into the summit pound here. 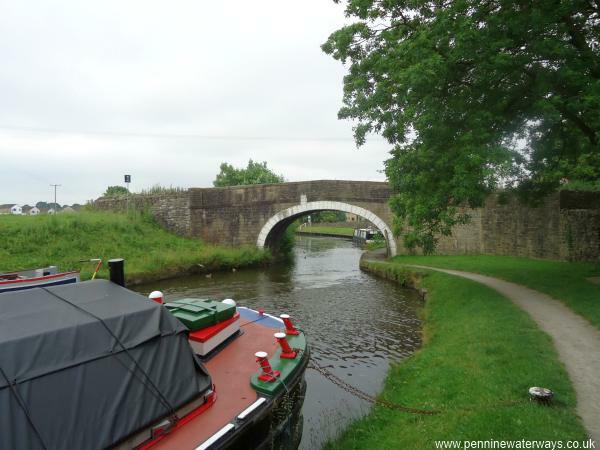 Greenberfield Bridge, with the Leeds and Liverpool Canal Society's short boat Kennet in the foreground.